Square base, twelve by twelve inches. Standard model comes with a carpeted base - wood finish is available as an upgrade.. 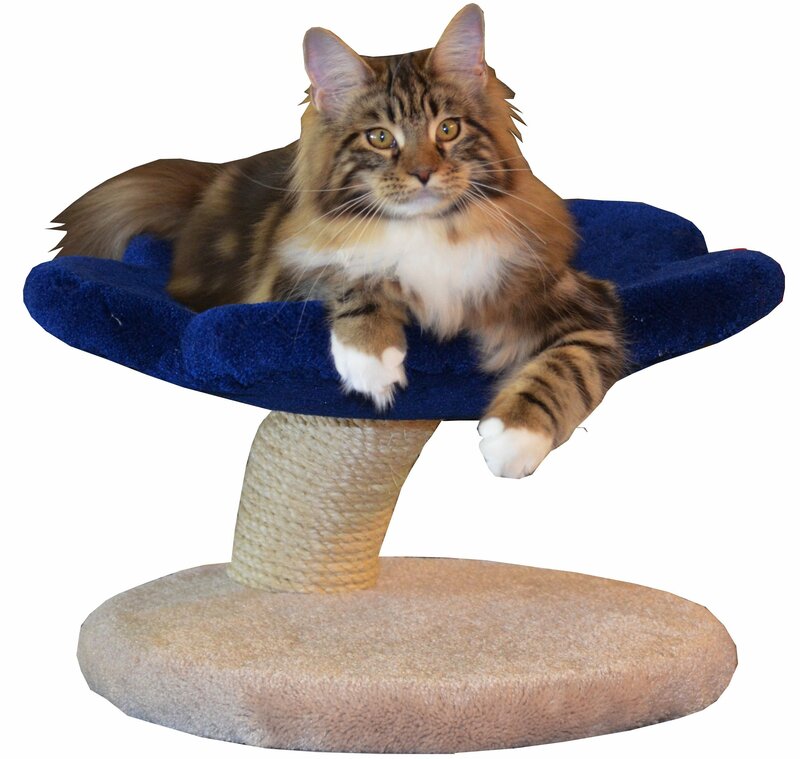 This is a very compact tabletop model, often used by catteries for the kittens to play on. It works well on a desk to keep the cat off the keyboard, most of the time.